Mezcalero is distilled at least 50% from wild or semi-wild agaves. Such agaves take a lot of work to harvest: it frequently requires searching for hours in the mountains, packing the agaves back on burros. The family distilleries are very old-fashioned operations. Some still lack stone mills, and crush the roasted agaves by hand, using long-handled wooden mallets, in “canoas”, hollowed out logs; others distill in potstills made from clay. The process is slow and labor-intensive. 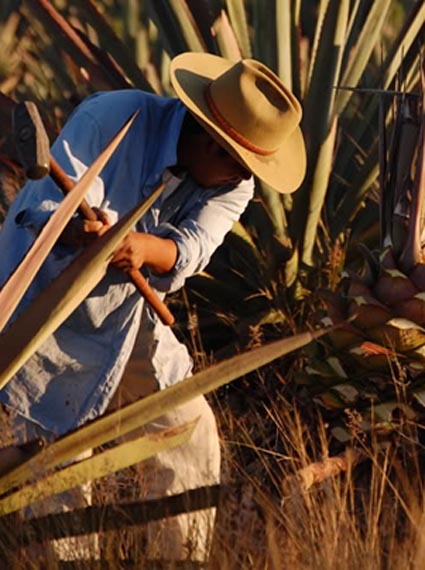 The process is tied into the agave itself, tied into the pueblo where the mezcal is distilled, tied into local and regional methods handed down for generations. The agaves are cut into chunks, roasted in a fire pit, crushed (milled) to extract the juice, fermented in small vertical wooden vats using native yeasts, then double distilled in small potstills, most of them copper. 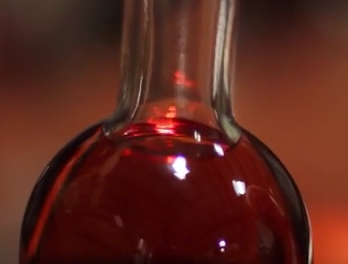 It takes a month of continuous labor to produce a single batch of Mezcalero, usually 600-700 bottles. The mezcal is delivered to Los Danzantes for bottling.